What are the advantages of premiering your film? The NABJ Film Festival is the premiere venue for garnering early buzz around a film, documentary, or television show! Films screened in the past few years include The Help, Red Tails, 12 Years A Slave, The Butler, Beasts of the Southern Wild, Won’t Back Down, and Red Hook Summer, as well as exclusive sneak peaks at films such as Black Nativity, Baggage Claim, Mandela, and Get On Up. Click HERE to fill out or film interest form, and NABJ will follow up with you. When are the available film/documentaries/up fronts scheduled? What is the cost to premier a film, documentary or up-front? How do I register/schedule a film premiere? Click onto the link below and fill in the form and you will be contacted by our Development Office. If it is urgent, please call Denise M. Brooking, Development Director at (301) 405-6986 or email at dbrooking@nabj.org. Logo and hyperlink to company website on NABJ convention mobile app. Each venue is furnished with state-of-the-art A/V equipment, including front and rear screens, wiring for digitized video. Each auditorium has a seating capacity of 428 theatre seats, all seats are equipped with fold-up tablet arms and are wired for data and electricity. Each room as a 9’ x 16’ Screens – Pre-Hung, Retractable; NEC NP-PA500U 5000 Lumens Rear Projector with Screen. The screen will be lowered from the ceiling. Playback – CD Player; Instant replay; and digital recorder; Klark Teknik Helix Equalization; Eight Channels of BSS Compression; Four Channels Klark Teknik Gates. Additional requirements will be at the discretion of the Film Producer and will be responsible for all additional cost outside what is listed above. How is the film publicized to NABJ Attendees? Each company is responsible for developing write-ups, artwork and links to film or documentary. You will also provide a link to your site to handle/receive attendee acceptance to attend film events. 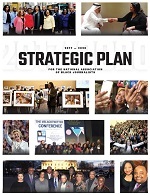 NABJ Communications Department will forward promotional eblasts to our membership prior to the convention and prior to your event during the convention and NABJ is not responsible for film events attendance. During the convention, social media, and the NABJ Mobil App will be utilized to grow the buzz on all film events. Please note – NABJ will not be responsible for attendance. 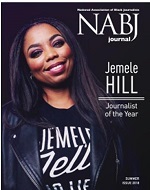 As a 501 (3) (C) non-profit professional and educational organization, the National Association of Black Journalists (NABJ) greatly appreciates corporate support for its goals, programs, and activities. Acceptance by NABJ of any financial or in-kind contribution from funders / corporate partner does not constitute an endorsement of their policies, products, or services. There should be no expectation on the part of partner for any special treatment in news coverage. Likewise, as we welcome input from our partners, NABJ retains final approval of all topics of discussion, selection of panel experts, speakers and other aspects of creative control regarding branded events. Exclusive event branding is available at certain price points. Please note that indicating an interest in an event does not guarantee you will be able to secure exclusive branding of that event. We will make every effort to accommodate your request. You will be contacted to confirm the availability of your event branding request and to discuss specific details regarding the event. NABJ does not recognize the right of first refusal by any partner, past or present.